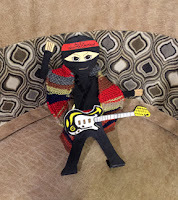 When I got back from vacation, I got the news that CassaFire’s audio book went live last week. I’m really stoked for the second book of my series. In listening to the samples, not only did the narrator do a tremendous job, but everything about this story flowed so well. 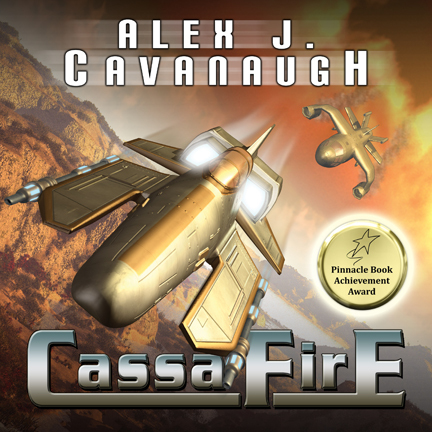 Find CassaFire on audio at iTunes, Amazon, and Audible. This isn’t a movie. Kubo is a work of art. The stop animation is breathtaking. It’s beyond Aardman Animation or any stop motion you have ever seen. Blended with a touch of CGI, the animation comes alive. The story is also beautiful. As with most Japanese tales, the elements of spiritualism, love, and loss are present. This is a deep and meaningful story; a drama with touches of humor. This is not a film for small children. It’s shame this movie isn’t doing better. It’s definitely a contender for Best Animated Film. Author Ciara Knight reached out to me about a cause dear to her heart – dyslexia. She and her son both struggle with dyslexia. Nicole Zoltack is here to share how you can assist those with dyslexia. I’ve always been a reader. I was one of those kids who would hide a book in her textbook and read during class. I’d read while on the bus or while eating or in the car. Anywhere and everywhere that I could get the chance. My husband didn’t grow up a reader. It’s tragic, really. I didn’t understand how he didn’t enjoy escaping into other worlds unless it was through movies or TV. Along came Harry Potter, though, and during the lulls between movies, I talked him into reading the books. And then one year for Christmas, I got him a gift that was more for me than him–A Song of Ice and Fire books. We both read them, and if he can read those tomes of George RR Martin’s, I think it’s safe to say I’ve successfully converted him into a reader. I wish that everyone could experience the joy and love of reading, so when I saw Ciara was looking for authors to donate a story to help out a school specifically geared to students with dyslexia, I didn’t think twice. This isn’t the first time I’ve written for charity (and it won’t be the last) and I think the biggest draw for me was that these kids who struggle with letters will be able to have the help and guidance they need to become lifelong readers too. Has dyslexia affected you or someone you know? Comment below and you’ll be entered to win your choice of one of my ebooks. LOVE AND GRACE - Romance for the soul, a gift from the heart. All proceeds benefit GRACEPOINT – A School for Dyslexia. My choice today is Katatonia – Serein. This band has been around forever and every new release gets better and better. They deserve some attention. Here are the upcoming theatrical releases for September! As always, descriptions courtesy of the IMDB. Snark provided by me. I really like going to the movies when I have no idea how it’s going to end. I’d write this off as just another unnecessary remake if not for Washington and Pratt. Is this an X-Men prequel? No post next Monday due to Labor Day. (Spending the day with friends.) 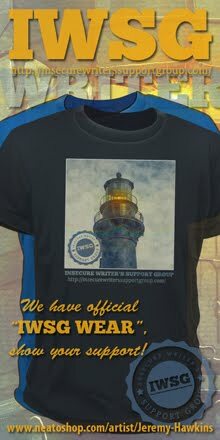 Will be back on September 7 for IWSG post day and the announcement of the IWSG Anthology Contest theme! Just a reminder - last week I had a guest spot at the Parallels site, discussing the value of What If? Good day to you Alex. Great news about your audio books. I really must get an electronic reader. I well remember the original "Magnificent Seven" film.... there that's showing my age. Wonderful selection of other fim reviews also. I wish you well with your audio books and will certainly miss your post next week. It is a public holiday here today. Congratulations on the audio release! I've found that there are really a lot of people who prefer to 'read' this way. I haven't even *heard* of "Kubo," until now! Good to know it's one to watch (either now or on Prime later). Congrats on the audio release! Kubo looks like a movie right up my alley. Your glowing review solidifies that I will definitely see this one. Looking forward to hearing all about the new anthology details. Have a great week. If I remember correct, the late author/television producer Stephen J. Cannell was dyslexia. Congrats on the audio release, listening to the story is amazing. As for upcoming movies, I'm curious about THE MAGNIFICENT SEVEN and MISS PEREGRINE'S HOME FOR PECULIAR CHILDREN. My son has dyslexia, so I have to check out those links. Glad to hear you had a good time on vacation! 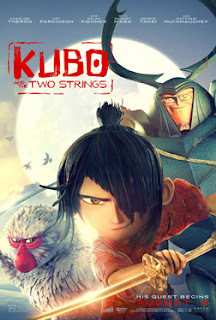 Do you think Kubo and the Two Strings would be appropriate for a nine-year-old? It's great to be greeted with good news upon coming back from vacation. Congrats, Alex! This success will certainly follow with your 3rd book as well. Kubo comes well recommended. What more a work of art, not just a movie! Hank just marvels at the way animations are made and presented. Miss Peregrine's is NOT a prequel to Xmen - at least the book wasn't! And while I like Tim Burton I hope he doesn't turn the story into something different because I really liked the book. Congrats on the audio book. Very cool. I loves me a good Swedish metal band and Katatonia is better than good. I appreciate their clean, contemporary alternative sound. Thanks for the introduction, good buddy! That is so awesome about your audio books. And I am cracking up over your comment how you love going to the movies when you have no idea how it's going to end. Good one! Elizabeth, the film flew in under the radar. Nicola, it's not usually my first choice of a vacation. Sandra, I think he would be old enough. Real little kids just wouldn't get it. Shady, pick up their latest and enjoy! Hi, Alex, camping with friends is the best!! How wonderful to help kids with dyslexia. My nephew has dyslexia and struggled through school. Before his diagnois the teachers were quite nasty, assuming he was stupid. Once he reached high school it was getting worse and was switched into a Catholic School were the teachers and faculty helped tremendously. He began to flourish. Congrats about your audio books!!! I really want to see Kubo, but as you said, I don't think my small child would appreciate it. I'm almost finished watching season 2 of Daredevil, though. Loving it! (Yes, I know. I'm behind on things!) Congrats on the audio version. And glad to hear you had fun camping. We were supposed to go with friends this past weekend, but it rained, and we won't dare go on a long weekend. Have a lovely week! I'll watch Sully just for the Tom Hanks experience. He's one of my favorites. And congratulations on the audio release. Another feel-good moment, right? Interesting stuff about dyslexia and a great cause. Funnily enough, I was just talking to a friend yesterday about dyslexia. He's an older gentleman and they didn't know anything about it when he was in school. He never really learned how to read, but they kept promoting him up each grade and he graduated high school. It wasn't until later that he realized that he had dyslexia. He reads okay now, but doesn't enjoy reading, probably in part due to struggling with it as a child. I want to see Sully - the trailer and the acting look great! Congratulations on your new audiobook. That's SO awesome--I know I've said that before, but I'm saying it again. That's one of my bucket list items. It's only slightly more likely to happen than making the NYT Bestseller list or having a big studio make one of my books into a movie! Now...if every author whose books I want to read could just be on Audible, this world would be a better place! How long did the whole bird-caught-in-the-jet emergency last before he landed the plane? Can they really make a whole plot about that? Or was his personal life naturally dramatic. I think I'm skipping this one. never hurt anyone. To to hear you had a wonderful time, Alex. Now, as for the Magnificent Seven.... I agree. I hope Denzel Washington did a good job or else I will be wasting my money on yet another worthless or so-and-so reboot. Man, I'm not a fan of that word. Prequel is another word that needs to up its rep a bit. What we need is a couple of top-notch prequels. Any prequels that you like? I can't think of any off the top of my head. Alien ruins... Wouldn't it be great to find some of those? My comment is messed up. I said a great vacation never hurt anyone. Good to hear you had a wonder time. Congrats on the audio books! I'm definitely checking out Kubo, sounds wonderful. Being mildly dyslexic myself, I know about the problems it can cause. However it never stopped me from reading and writing, even though I still can't spell all that well. It did however really cause me problems with math and numbers. It was easy to learn to methods for solving problems the issue was that anywhere in the problem I could switch the order of the numbers, 123 could become 132 or 312 and I'd get the answer wrong. I've never been able to learn my times table, numbers don't stay in my head, and I have a very difficult time visualizing them in my head. Dyslexia also seems to have prevented me from learning to read music, much as I wanted to. And I've tried many times. Those little black dots on those lines just don't stay in place and make absolutely no sense to me. So glad for you and the audio book. Having read everything you've written I won't be buying the audio version, sorry. I like the sound of some of your listed movies. Funny your comment about knowing the ending, I have watched Apollo 13 I don't know how many times and every time I am on the edge of my seat even though I remember the incident anyway, let alone the movie. I am going to see Pete's Dragon tomorrow. I understand the remake of Ben Hur has been a big flop. I would have thought the Magnificent Seven would be the same. Cathrina, glad your nephew finally got help. Christine, he would be confused and bored I'm afraid. Madeline, who wants to camp without air conditioning and a bathroom? Stephanie, hope you get to hear your books one day. Dianne, I think a lot happens after the fact. Blue, the Underworld series had a prequel, but it was my least favorite of the bunch. Bish, I didn't consider how that would mess up math as well. And bummer you can't read music. Jo, we'll see how Magnificent Seven does. Magnificent 7 has star power going for it, but yeah, unnecessary. Those endings will be real nail biters lol Congrats on getting book 2 in audio. I don't have dyslexia, but I am a super slow reader. I tend to get overly distracted and start thinking about things related to whatever I've reading. It can take a long time for me to finish a book. Congratulations on the audio book release. Next--the movie versions. How exciting to be able to listen to your book. Congratulations.I have a couple of audio books and enjoy them. haven't seen any of the movies. Many congrats on the audio release, Alex! Quite exciting. Hope the vacay was wondrous. Mini Alex looks comfy. I'm not a camping fan myself but I like hiking. No movies I'm looking forward to. I didn't know there was any controversy behind Sully's miracle landing. Feel the same way about the Magnificent 7 as you. very exciting about your audio book. Hope it does well. It has to be tough to read when you are frustrated by dyslexia,etc. I feel fortunate, but I'm glad schools are more aware and can help kids early on. fall movies - Sully and Deepwater previews look great. Miss Peregrine book trilogy was excellent - if anyone can bring the peculiar to the big screen, it's Tim Burton. I am not a camper, but maybe a glamper - I prefer a La Quinta at the minimum. Yes, I'm spoiled! Hi, Alex! Hi, Nicole! Dyslexia has been a part of my life. I live a dyslexic life. It took me forever to learn how to write, even my name, and then how to read. I had great teachers. Before I went to college, I went to a school called the Good School. I learned there that the Dyslexia had also affected my hearing. Certain letters sound the same to me and is still hard to decipher. But boy can I read. However, when I get tired, the letters dance and scramble around the page. Kubo does looks really fun. Congrats on the audio release! I am rather bummed that my kids are not interested in Kubo and the Two Strings. I guess I'll have to wait for Red Box on that one. They did rent Angry Birds and loved that one. I would like to see both Sully and Deepwater Horizon. Of course, it's a little strange to have major motion pictures based on events I remember so well. I'm used to seeing films about wars that occurred 40+ years ago instead. Congratulations on the audio book, Alex. Great news. SO happy for your audio books. I love audio. I'm a fully loaded RV camper. My friends are like, um that's not camping. We argue, but I'm right. Mini-Alex does look a bit peeved on not getting out of the trailer. I have not seen Kubo. Looks awesome. Alex, I have not seen the movie Kubo. I'm not sure what's new at the theater now. They usually is so little that grabs my attention when the trailers air. I normally just wait to see what others share and then I check out the movie trailer. I don't actually like going to theaters to see movies. I prefer to watch them at home. I'm sorta picky like that. :) Today's music that moves me is The Traveling Wilburys. I hope you'll stop in when ya have a moment for a listen. Have a tunetastic week! Happy Monday, Alex! I'm definitely looking forward to Sully. My husband loves airplane films and we both enjoy Tom Hanks. CassaFire sounds like a compelling story and I wish you much success with it. Lee, takes me a long time. And man, a movie would be so awesome. Sandra, it was much needed! Joanne, that's usually my version of camping. Shelly, didn't know it could mess with one's hearing. Tamara, they are jumping on those real events quicker these days I guess. Cathy, we enjoy both movie experiences. I've heard nothing but great things about Kubo and the Two Strings, so I'm dying to see it, but sadly it hasn't been released here yet. Congrats on Cassafire audio. I want to see Kubo. Great song by Katatonia. The Hudson River crash was amazing, but I'm not sure if I'd see Hank's movie. Good luck with the audiobook! Kubo sounds like a really nice film. Hopefully it'll find its way to one of the local indie theatres, where tickets are a lot cheaper than at the mall. I've been going to the movies every Sunday afternoon this summer, since the classic films they show for the matinée are all of 35 cents. Awesome your book is in audio version. I go through phases in terms of listening to them. I know a lot of people who read them regularly, so it's great you have another way to reach these readers. Congrats on the audiobook, Alex! Poor Mini-Alex! Never left the trailer? So glad you had a good time on your vacay! Congratulations again on the audiobook. So wonderful!! I'm glad to hear you had a nice vacation, Alex! Love and Grace sounds like a fantastic collection of stories, and it's great the proceeds are benefiting a good cause. George, you will really appreciate it. Ian, I was hesitant to see that film because I knew what would happen, and then it blew me away anyway. Heather, I think he watched television and drank beer all weekend. Congrats on the audio books! And glad you had a nice vacation. I once was a camping with tent kind of girl, but in my increasing age, trailers have definitely gained their appeal. Kubo sounds good. Congrats on the audio book for Cassa Star!! That must have been a nice message to come home to! Camping in style - that's the way to do it. Glad you had a great time. I'm sure Mini-Alex didn't mind the insider's perspective. I'll wait to rent Kubo. The reviews I've seen, other than yours, have been less than good. Cheers again to the audio books! That's still so cool. I haven't even heard of Kubo until now. I'm gonna go check out the trailer. And yeah, you know how we feel about camping. Sleeping on rocks looks less and less appealing as you realize you could basically spend that same night in a heated/cooled miniature house with plumbing. A world of cool things... I really want to see the film, shining review, got to check out the score. Very nice on the audio read, I am so happy it's all working out for you. I am so glad that your audio book meets with your approval. And other people's too. I would like to see Kubo - but haven't yet. And yes, I would like to do something for Gracepoint. I've tutored and/or taught a dozen or so kids with dyslexia and dysgraphia, and I have friends and cousins who struggle with it. However, all of them have fought the good fight to read and write! Congrats on the new audio. Glad you had a nice vacation. I like camping with Hotel rooms but never stay in really nice RV. I hear those can be pleasant too. I really want to see "Don't Breathe." I've heard good things about it. The covers of the Miss Peregrine's Home for Peculiar Children books are amazing--I've always wanted to read them but haven't gotten around to it yet. Glad you had a good holiday! Well deserved. Enjoy your time with friends on Labor Day! Robyn, at least he stayed cool. Andrew, what reviews are you seeing? It's 96% fresh on Rotten Tomatoes. Mark, it's a wild feeling. JH, MsMariah just gave it a good review today. Congratulations on the audio release! I'm looking forward to the Magnificent Seven because of Washington and Pratt, as well. We'll see. I stopped camping years ago. Perhaps with a trailer in the future Another thing we'll see about. I thought I heard Sully started with the plane "crash". Which makes sense, since we all know that part of the story. I've heard good things about Kubo. Gracepoint sounds like a great school. Glad you enjoyed your vacation and congrats on the audio book Alex. I've been a long lover of reading so I'm glad support is being given for those with dyslexia. Love the comments you posted under those movies. Oh yes the suspense! Looking out for Kubo and hopefully I'll have the money to spare to see it. Planning to see Hell or High Water tomorrow as long as tickets are available since that damn theater company decided to cancel the theater cards we can put money on to order tickets in advance without warning in June. I mean if you want to phase out the cards fine, since we got them for free. But at least give us time to keep topping up instead of suddenly not allowing anymore topping up but allowing the card to stay active until the end of the year. Thanks because I know I put thousands of dollars on it just in case. Sigh, so I have to buy tickets when I arrive instead of in advance. But life goes on and I still love cinema but hate their management tactics. Congratulations on your audio book. I can't tell you how much I love audio books. I really love it when I buy the Kindle/audible combo. It allows me to switch back and forth and Kindle and the audible app keep up with where I am in the story. It's the best thing for commuters like me who used to drive around the block for an extra half hour because we wanted to keep listening. Now we can go home and pick right back up where we left off after everyone is in bed. I'm really looking forward to seeing DeepWater Horizon. Hope you have a Happy, safe and enjoyable Labor Day with your family. You deserve the time off and your family deserves time with you. Enjoy! Huge congratulations on another audio book. You mentioned the sample - didn't they give you a copy of the entire audio book? Have never heard of Kubo, but you make it sound interesting. Sully also sounds like one I will watch. Marie, I would more often - I just forget! Birgit it was a shame about Wilder. Hey Alex, sounds like you went 'glamping' is what I call it. The only way I'll go camping, too. Haha Alex, I love your comment about the film Sully. Yep, we all know how it ends. I remember when I first saw Apollo 13 w/ Hanks 20 years ago as a teenager. I remembered thinking...but I know how it ends. So it didn't really interest me. Now that's probably one of my favorite films. I wonder how I will like Sully? I hope you have a wonderful Labor Day! Wow ~ Nice comment from Library Journal, Alex! I'm intrigued by "Deepwater Horizon" simply because I worked for a while as a wellsite geologist, and all of my siblings and I have been in the oil patch! Enjoy your Labor Day weekend, Alex! Nicole, loved that comment on GRRM's "tomes." It's one of my all time favorite series! Dyslexia has affected my father, sister, and niece; but fortunately they have all learned to cope and thrive! Thanks for focusing on this issue! I belong to a family of dyslexics, me to a certain extent, my sons and husband, and my two brothers. The schools have made some progress, but not enough. 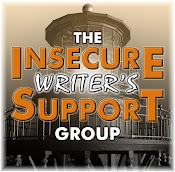 Great cause to get behind for all writers. Love camping in luxury - only way to go. Alex, congratulations on the superb review in Library Journal! So well-deserved. I had no idea Ciara has dyslexia. All the more remarkable when I consider what a very fine writer she is. Congrats on the audio book release. Like the Katatonia song. Need listen to more songs of them. Glad to read that you enjoyed your vacation. It seems my first comment was gobbled up by blogger. So, I will just wish you a happy week :) I have a 4 days weekend coming up so I am looking forward to it. Camping in a trailer is a nice way to go! Well, we know how Sully ends as we watched it unravel on the news! I am sure Tom Hanks will do an excellent job portraying the pilot. Congrats on the audio books! These would make excellent gifts for people who travel on the road. Thank you so much for having Nicole on your blog to discuss Love & Grace. This school is such a blessing in our lives. It's strange that our county school system doesn't even recognize dyslexia as a disability. I've struggled for years, I even pulled back from blogging due to the difficulties. I'll visit your blog and read often, but I don't comment. I don't want these challenges to restrict my son, so again, I thank you for helping to spread the word about this fundraiser. Congratulations on your new audio book, that's so exciting!! MsMariah, I felt the same way about Titanic. Fundy, wow - what a job to have! Edi, pick up their latest, you won't regret it. Morgan! And so glad you are back. We've missed you in the Fellowship as well. Truedessa, enjoy those four days off. Sorry the comment was eaten. Ciara, you are most welcome! Congrats on the audiobook! Very exciting. This was the first time I'd heard of Kubo. Thanks for the tip. It's great to see an initiative like this. My stepdaughter suffers from dyslexia, but sadly was only diagnosed after she'd left school. I wish she'd had help earlier. Thanks for the info on Kubo. I wasn't that familiar with it. I agree with you about The Magnificent Seven. Even though I feel they can't outdo the original Yul Brynner version, Denzel Washington is sure to make this one...magnificent. I wonder if you can develop dyslexia? I can sure mess my letters and words up now. Soon you'll have three audio books! I'm torn on the Magnificent Seven. How can you remake such a classic? I wonder if it will bomb like Ben Hur. Good cast, though. Miss Peregrine's strikes my fancy, if only because the stand-alone poster I saw for it last month while waiting to see The Secret Lives Of Pets really intrigued me. Also, they seem to have some book tie-ins, with the original that inspired it (with two different covers) as well as the sequel to the original book. Also love Eva Green as an actress, not only for Penny Dreadful, but for a noir western called "The Salvation". Anyone who can successfully pull off doing a character that speaks only with their eyes is head and shoulders above anyone else. I agree camping is fine - as long as 'all the perks' are available! Love our van, but not so keen on roughing it as I was as a kid, when I spent most of each summer in a tent. Congratulations on the audiobook! That's exciting!! I've heard that Kubo is really good. It looks amazing and I'd love to see it for the art as well as the story. As for the rest of the movies, no thanks. I'm looking forward to Kubo, and I thought the Magnificent Seven might be a fun remake. I hope to listen to your audiobook soon! So glad that you're pleased at how your audiobook turned out! Kobu is on our list to see. The trailer certainly had impressive animation. If it had been released in the summer, I bet it would have had better sales. Now that kids are in school, they're not at the theaters as much. Congratulations on your audio book, Alex. Very happy for you. And a huge thank you to your guests. One of my sons has dyslexia. Plus I'm working with a teacher who has written a book on dyslexia. It's an important subject and I hope her book does well in schools. We went to see War Dogs last week and they showed previews of Sully and The Magnificent Seven. I think Denzel Washington will do honour to Mr. Brynner's role. Thanks to Ciara and Nicole for supporting a very worthwhile project. Glad you got a good trailer. Sounds like a fun time. And very cool on the audio books. Very, very cool. Thank you for all the links on dyslexia. As a teacher of wee ones I'm always grabbing for all the insight I can find. HI Shelly! You're my winner! If you could email me at Nicole.Zoltack AT gmail.com, that would be great. Thank you for having me, Alex, and thank you all for looking at the collection. Congratulations on your audiobook! That's so exciting! I haven't heard of Kubo but I'll have to check it out! Wonderful cause to be supporting, Ciara and Nicole! Amongst my learners, reading is an uphill battle. They just don't read. I suspect that some of them are undiagnosed dyslexics. Congrats on the audiobook! Awesome! I'm glad to hear that you liked Kubo. I tend to be VERY picky when it comes to seeing movies, but Kubo kind of stuck to me and has grabbed my attention a few times now. Sounds like I need to check it out. Yay about the audio. I've had adults tell me they have dyslexia. They may take longer on certain tasks, but they're just as successful as anyone else. Sean, Ben Hur did bomb, didn't it? GB, a non-speaking character is hard to do. Patsy, we had a popup trailer I would hide in the whole time. Jen, good to hear from you. Joylene, I think he'll do the role right. Nicole, you're welcome, and congratulations to Shelly. Katatonia had a good sound to them. Glad you had fun on your vacation. You deserved it and congratulations on another audio book. My oh my...you're really moving on up in the author world! I'm so happy for you, Alex. It's well deserved for sure! I just love the fact that your writing was compared to Heinlein. That would have me floating on air for a long, long time. What a wonderful charity project. So important to help kids who have struggles with reading. I can't wait for Miss Peregrine's! Looks fascinating. I had never heard nor watched the trailer of Katatonia. It especially hits home for a writer. Congrats on your new audio book and that awesome quote from Library Journal! I can't wait till Diane gets mine started! I've seen trailers of Kubo and it looks really great! One of my friends (an author, designer, agent intern, and publishing assistant) has dyslexia and I swear she writes 10 time quicker than I do. Congrats to Nicole for joining the charity anthology! Okay, this is embarrassing. I actually don't know how Sully will end. Somewhere during the investigation, I lost track and I don't know how it turned out. So I get to be surprised. Maybe. Sort of. Congrats for having CassaFire on audio! I haven't seen Kubo but I'm intrigued now and will check it out. I have a nephew who struggled with dyslexia all through school. It's sad. I've seen the ads for Peculiar Children and the girl with the mouth in the back of her head totally creeps me out. Glad you enjoyed your vacation. Have a great Labor Day weekend! Congrats on the audio book! That must be exciting, hearing your words like that. Kubo is a treasure, with all that you said. Actually had goosebumps. Looking forward to "Magnificent Seven" with Washington and Pratt. But, have to go back to the first movie with a cast of great actors. And then back to the Japanese movie, The Seven Samurai. Miss Peregrine's...is a book series for children and they are awesome. I am waiting for #3. Creepy, endearing, surprising. No X-Men here. It is good to read your posts again! Just back from a trip to see family in Illinois. Good time, good memories. Your review of Kubo makes me want to watch. Plus I saw a piece about the theme music chosen and it's beautiful. You got some good movies there for a Saturday afternoon *smiles*. You know, hubby was never a reader of books, but now with the arrival of audio books, he's 'reading', I'm glad more people are now 'exposed' to their imagination. I love 'drawing' my own images and people when reading, but this is waaaaay off tangent . Have a fabulous weekend! Hopefully, I can now focus on commenting on blogs. So, here I am. That's awesome that your audio book went live last week. I'm delighted for you, good sir. Thanks for all the links. Katatonia are one of my favourite bands. Glad you enjoyed your vacation:) I'm in complete agreement on the camping. I definitely want to see Kubo. Your reviews sounds like what I was hoping for. I can't wait to see Kubo myself, my sons as well. I might also watch the movie Miss Peregrine's Home for Peculiar Children as I've just bought the book last week. I've been a reader since before I entered the 1st grade. In fact, I'm the only one in my family who had a love of reading. I used to be able to read and finish 2 books in one day. And the library was practically my second home. I try to pass my love of reading to my own children, so every Christmas and birthday I give them books as gifts. Sandra, glad you liked it. Lexa, be cool to hear yours. Shadow, whatever gets him reading. Gary, you rock! Safe travels to Canada. Lidy, you are a good mother. Congrats on CassaFire launching on Audio, which reminds me I've yet to read it....bad boy that I am!! Its actually 2nd in line at the moment though! I never gave up on Byron. CassaFire been showcasing on my blog for a time now. The fall of hearts looks good too and so does Sully. It looks like the trail ends with the airplane crash somehow but it'll be trippy seeing a real life story unfolding on the big screen. After listening to Susan Kaye Quinn's "Open Minds" via Audible during the commute to work, I'm finding myself more open to the idea. It certainly will allow me to read more stories than I currently have time for. Congrats on the audiobook progress. And thanks for the tips on helping those with Dyslexia. Well, 2 days later I figured out the comment box opened a different copy of the browser, not just a different tab. Now I can't remember what I was going to say... but I'm happy to say anything after last month's post fiasco (mine, not yours). Thanks for another contest and thanks for all you do to keep us going! Dang man, you have totally rocked the house with this one. I've never heard it before, but thanks for the introduction! Sorry I'm so late. Guess you can say I had a bit of an accident. I was getting a shot in my hip when the doc decided to stab a nerve. Woooooooooooooooo I've been going bonkers! Oh well, thanks for joinin' us! hugs!!! Glad you had a fun vacation! Congratulations on the audio book!